Early travels include cycling across the Sahara and India, following pilgrimage routes worldwide on foot, kayaking the Danube in East Bloc days and long horse trips on five continents. He has made radio and television documentaries for RTE and the BBC. Jasper is an experienced speaker, who has entertained audiences including the RSGS, Port Eliot Festival and Immrama Festival of Travel Writing. 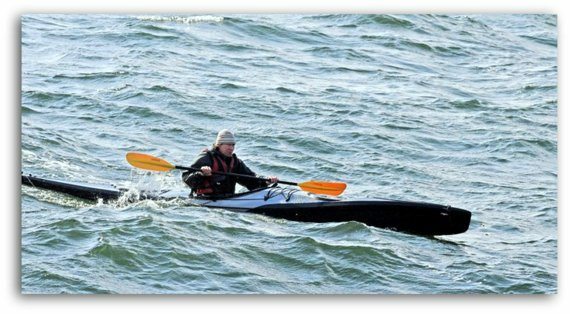 Jasper’s illustrated talk, Paddle; A long way around Ireland, recounts the highs and lows of his three and a half month solo sea-kayak trip around Ireland’s thousand mile coastline. In the worst summer weather on record, his experiences on land as well as at sea make for a story that goes beyond paddling endurance. Forced ashore for long periods by high winds Jasper took shelter in coastal communities – in Dingle, Clifden, Malin Head – where he talked with fishermen, tourists, farmers, and artists and passed days playing music in local pubs. Brought up in Ireland, Jasper’s knowledge of the country’s culture, history, wildlife and literature illuminate his voyage but little can prepare him for strandings on deserted islands, battles with Atlantic swells far off-shore and his own lack of experience. The adventure is balanced by humour and an ear for a telling story and made joyful by his interaction with the natural world, whether it’s paddling amongst basking sharks, conversing with fulmars or being propositioned by seals. Warning! Jasper’s illustrated talk can include songs and live music. Dervla Murphy: I really enjoyed Paddle – a genuine adventure story with dangers understated. Wanderlust: …deft lyrical descriptions…an engaging, humorous writer. Irish Times: The slowest Irish circumnavigation on record, but in its telling the most thrilling. To book some FREE seats to what promises to be a most interesting evening, please click the link below!